At present I have interests ranging from property acquisitions, development & management of properties, property maintenance, plumbing, gas & central heating works, painting & decorating and most household jobs, big or small. Established in 1977, as a one man business in Primrose Hill, North London, Fox & Co (1998) is now a well established Plumbing & Heating company covering the North London areas. 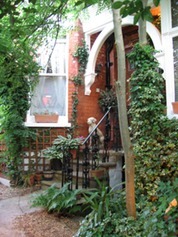 I have been a resident in Muswell Hill for the past 25 years. I was educated at a public boarding school in Epping Forest, Essex and originally began my working life, suited and booted in a central london office intending to train as an accountant, but I soon tired of office work and after a brief period of trying a number of different jobs including diamond ring cutter, salesman, book-keeper, clerk and labourer, settled into the life of a self-employed tradesman, first becoming a handyman, then a painter and decorator, followed by plumber and finally becoming a Gas Safe qualified and registered engineer. 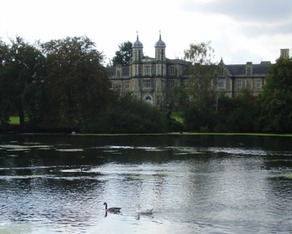 I have lived in Muswell Hill since 1987 with my Australian partner, Sally Fox, who is actively involved with the local church and local schools and various societies. We have three children aged 17, 15 and 12. I am qualified to work on boilers, water heaters, gas fires, gas cookers, gas pipe work, gas analysers and Unvented Hot water cylinders as well as all bathroom and shower works. I also undertake work on all Saniflo macerators.